The doors of your home say a lot about you. Your front door is the first impression of your house that visitors have. What's more, the front door also gives your visitors and guests their first clue about your aesthetic style and personality. Therefore, choosing doors for your house that suit your personality and tastes is very important. One of the biggest decisions you will need to make is whether you should opt for traditional or contemporary LPD doors for your home. Want to know more? Let’s discuss. Let’s start with the materials used for your doors. 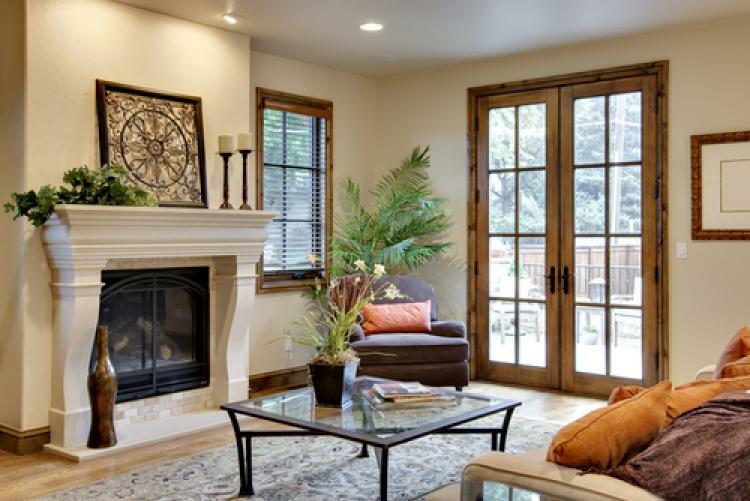 Generally, traditional doors are often wooden both internally and externally. While reminiscent of days gone by and a stylish addition to your décor, wooden doors require a lot of care and attention to ensure they stay looking their best. On the other hand, contemporary doors are just as durable, but are much more weather resistant and have low maintenance and upkeep. Furthermore, they come in many different design and styles. Once you have settled on a material for, you can move on to the style. When choosing between traditional and contemporary LPD doors for your home, another important thing to consider is style. The door style you need depends on the exterior of your home. For instance, a traditional door style may suit if you have a historic or old looking home. On the other hand, if you have a modern and chic exterior then you could opt for a contemporary door style. When choosing a door style, another important thing to consider is privacy. Many traditional and contemporary styles from our range of LPD doors are designed to give you maximum privacy. LPD Doors - How do they compare? When choosing between traditional and contemporary doors, the attributes of the two door types is probably the most important thing to consider. Depending on how you want your home to appear, these traditional doors can make your home look classic and strong, although they will need to be looked after to ensure they remain weather resistant and durable at all times. On the other hand, contemporary doors do look modern and chic but that is not at the expense of keeping the heat in or protecting your home. All of our LPD doors are available in a range of colour schemes and finishes to suit your needs. Whichever style and material you choose, you can rest assured that when you choose from our selection, you are getting the highest quality around. For more information or to buy some new doors for your home, please browse our site today.